Sometimes, you and your staff may want to book holiday in a format other than full or set half days - maybe you need an hour here or there, or you have an odd amount of holiday allowance left to take. 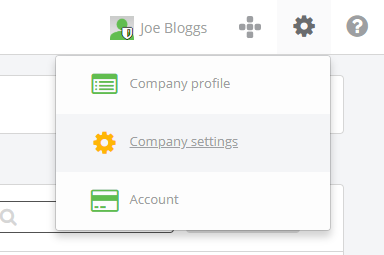 If you want to be able to book holiday in set times, as an admin you can set this within your Company Settings. Click on the Holidays tab. Within the Holiday section you will see an option for How holidays can be booked. This can be altered between By set times and Full or half days. 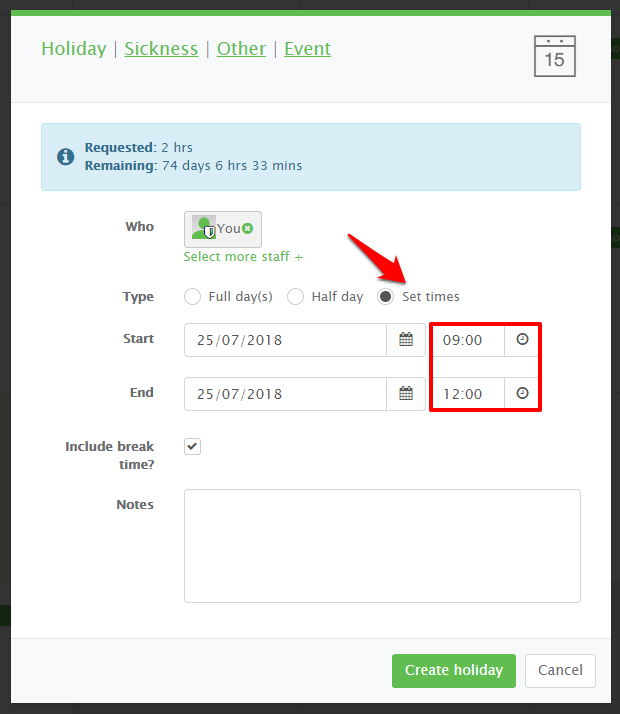 Selecting By set times will enable all staff to book holiday using a custom time range. The setting to allow Set times holiday bookings can be amended at any time to use full and half day only bookings. To do this, simply follow these steps and select Full or half days only.